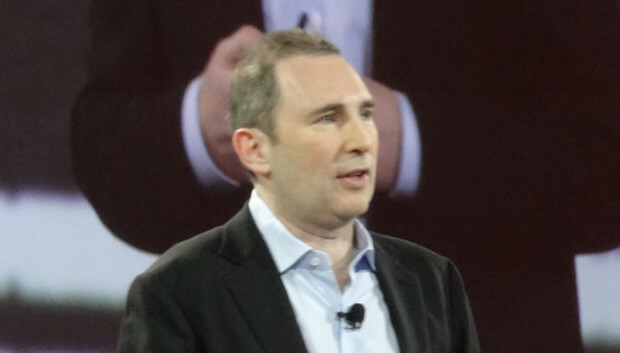 Private clouds offer "none of the benefits" of a robust public cloud, and are only a stopgap solution perpetuated by "old-guard" IT companies such as IBM, said Andy Jassy, Amazon senior vice president who heads up Amazon Web Services. "If you're not planning on using the public cloud in some significant fashion, you will be at a significant competitive disadvantage," Jassy told a packed auditorium of nearly 9,000 IT pros Wednesday in Las Vegas, for the opening keynote of the AWS Reinvent conference. Jassy split his time between extolling the benefits of using large public clouds such as Amazon's and introducing new services. While he spent much of his presentation discussing the benefits of cloud computing, arguing that it offers increased agility, better security and lower costs, he also took time to criticize private clouds, or cloud infrastructures that organizations have set up in-house for their own use. To set up a private cloud, an organization still needs to invest a considerable amount of money in hardware and software, so it requires up-front capital costs that a public cloud doesn't, he said. Private clouds don't offer the agility of public clouds, in that the enterprise still can't change to a new platform or set of software as quickly. It also doesn't offer economic advantages of buying hardware in large amounts. Some organizations, such as governments and health-care providers that have strict regulatory requirements, still need to run operations in private data centers, he said, but over time, these specialized-use cases will diminish as more of the features required will be available on public clouds. Amazon offers a number of services that help organizations run hybrid clouds that are partially run on Amazon and partially in-house, including VPNs (virtual private networks), and identity and access management. The company also works with traditional enterprise IT management tool providers, such as Eucalyptus, CA Technologies and BMC Software, to provide a single view of both on-premises and cloud operations. But AWS put these services and partnerships to help customers move almost entirely to the AWS public cloud. "We have a pretty different view of how hybrid is evolving than the old-guard IT companies," Jassy said. The approach popular with companies such as Hewlett-Packard, Microsoft and IBM, for instance, assumes an enterprise will want to run most of its operations in-house and use public clouds to augment operations when traffic is heavy. "We believe in the fullness of time, very few enterprises will run their own data centers," Jassy said to note the difference in the AWS approach. "That informs our approach in what we build. We will meet enterprises where they are now, but we will make it simple to transition to where the future workloads will be, in the cloud." "I think a lot of old-guard technology companies aren't so thrilled about how fast things are moving to cloud," Jassy said. He showed a slide of one of a number of advertisements that IBM has placed on buses this week in Las Vegas that claim that the IBM Cloud service hosts "30 percent more top websites" than any other cloud provider. "It's creative, I'll say that," Jassy said. "I don't think anybody who knows anything about cloud computing would argue [IBM] has a larger cloud business than AWS." In June, IBM purchased SoftLayer to boost its public cloud offerings. Jassy also took time to announce some new services. Perhaps the most notable launch for the company is a new VDI (virtual desktop infrastructure) service, called Amazon Workspaces. Workspaces provides a virtual desktop for an organization's employees that can be accessed from Apple Macs, Microsoft Windows computers or Android devices. It provides a "persistent state," Jessy said, meaning that the desktop's contents will remain the same no matter what device the desktop is accessed from. Despite the advantages it offers administrators in managing their users' computers, VDI thus far has not made major inroads into the enterprise IT market, though Amazon is hoping Workspaces will prove cost-effective and easy enough to manage that it will be appealing. Workspaces will cost about half of the expense of the current average VDI implementation, he said. The service, which is now offered in a limited preview, can be paid for on a month-by-month basis. A Workspaces desktop with one virtual CPU and 50GB of storage space will cost US$35 a month, and the "performance" desktop with 2 virtual CPUs and 100GB of storage will cost $60 per month. With Workspaces, an organization can bring its own licenses for Microsoft Office and security software, or Amazon will offer these applications for an additional $15 a month. AWS also launched a security service that can provide customers with detailed log reports of who is accessing their APIs (application programming interfaces) and what services they consume, as well as a streaming service for apps.